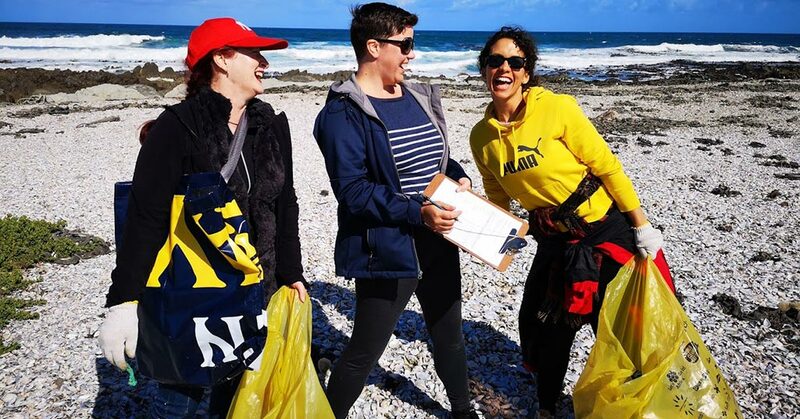 To mark International Coastal Cleanup month in September, Gnu World staff joined a team of 99 volunteers in helping clean up Robben Island’s coastline. 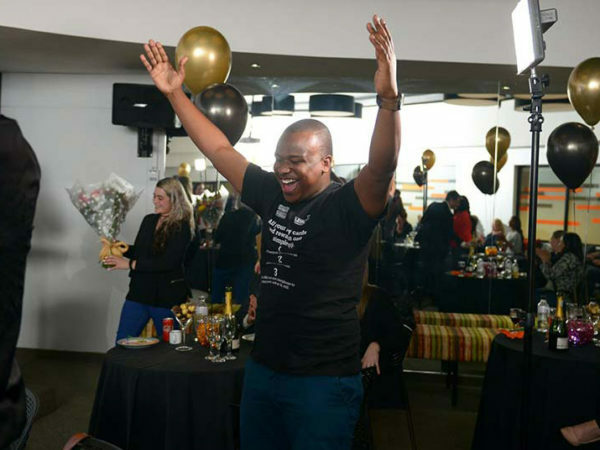 The initiative was sponsored by the South African PET Plastic Recycling Company (PETCO) and supported by Plastics|SA and two beach clean-up organisations – Clean C and The Beach Co-op. The Gnus met early on a Friday morning to catch the 07h30 ferry to Robben Island. Despite choppy conditions, the trip on the Sea Princess lasted only about 30 minutes. Once on land, all the volunteers were quick to recover from any sea sickness and excited to get started. After a quick brief on logistics, the team was split into smaller groups, to cover the west, south and east coasts of the island, respectively. For the first hour, we used the “dirty dozen” methodology, recording the amounts we collected of each of the 12 most common trash items found on beaches. Some sobering numbers: in just one hour, we collected 2469 cool drink lids, 1197 individual sweet wrappers and 963 straws! For the next two hours, we focused on picking up marine debris, including the dirty dozen and other kinds of rubbish. 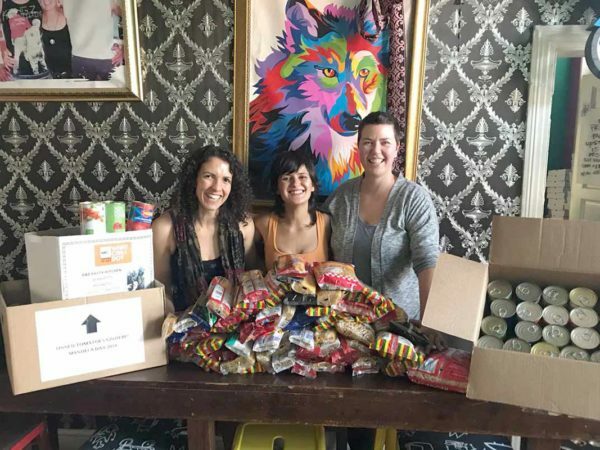 Our team filled approximately twenty refuse bags – and by 11h30, all the volunteers had filled over 200 bags. #dirtydozen stats for the cleanup. 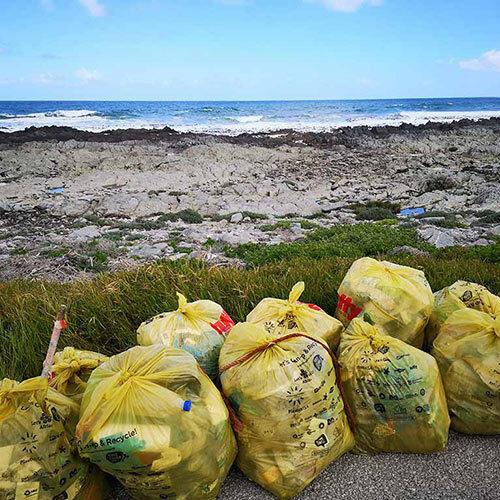 We cleaned for one hour logging the data and thereafter we focused on picking up marine debris only. 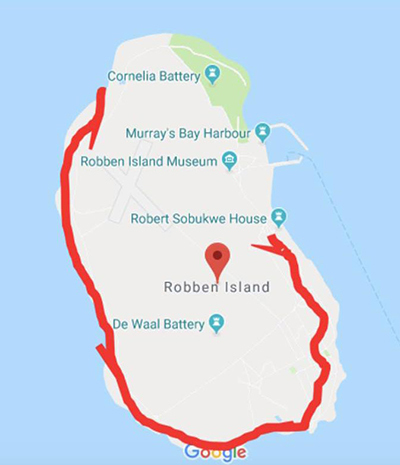 Robben Island lies just opposite the city of Cape Town and one of the busiest ports in South Africa, so it’s inevitable that litter ends up along its shores. Some of the garbage is washed in from the city. 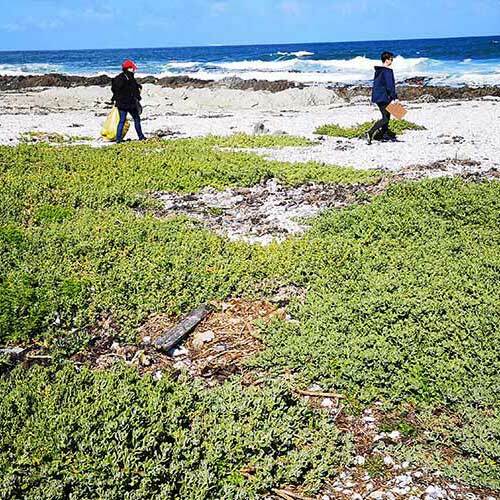 Especially during the Cape winter, ocean currents transport the litter gathered by storm water and rivers. Other garbage comes from boats that dump their trash directly into the ocean. The polluter pays principle states that the party responsible for producing pollution must pay for the damage done to the natural environment. But because a fee must be paid to dump trash on the mainland, many fishing trawlers, kaká boats and other ocean vessels choose to offload their rubbish into the sea. Death by plastic is common for wildlife on the island. Over 50% of the dead animals found on the island have plastic in their stomachs. Animals may die when plastic blocks their digestive tracts or because they become entangled in plastic bags, fishing tackle and other types of plastic waste. Just being more aware is a good starting point. We all need to use less plastic, at home and at work, and dispose of garbage responsibly. 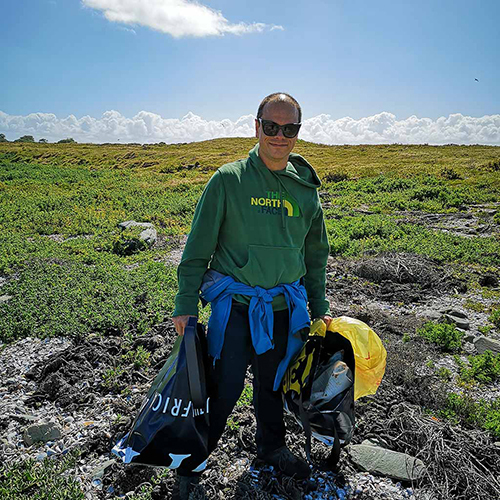 Whenever you have the opportunity to enjoy our gorgeous beaches, spend a little time picking up any rubbish you spot. If you’ve got the odd few hours to volunteer, also consider getting involved in organised beach clean-ups. They’re fun and a surprisingly good form of exercise! 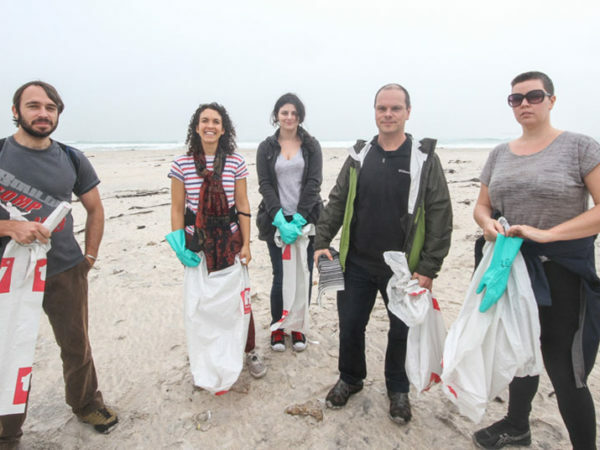 For more information about beach clean-ups in and around Cape Town, visit the sites of organisations like Clean C and The Beach Co-op.